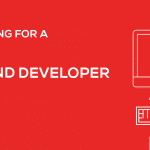 Are you a talented Java Developer? We are looking for you. Create technical documentation using required standards. Minimum 2 years experience in creating Java/Java EE/Spring Web application. Effective and efficient in team collaboration. We nurture a teamwork environment where ideas are communicated and knowledge sharing is encouraged. We appreciate talent and inspire constant self-improvement. We constantly search for progressive thinkers, creative doers, game changers, visionaries, and groundbreakers who never settle for mediocrity.